If you had personal files stored long-term on the now-dead Megaupload, consider them gone for good. A Department of Justice spokesperson, who asked not to be named “for security reasons,” tells us in an email that the Website “clearly warned users not to keep a sole copy of material on the site,” so there was no reason to believe these files would remain safe and accessible. “This is still an ongoing matter, however as alleged in the indictment, the vast majority of Megaupload.com users do not have significant capabilities to store private content long-term since anything that isn’t repeatedly downloaded is automatically deleted from the system,” said the spokesperson in an email to Digital Trends. 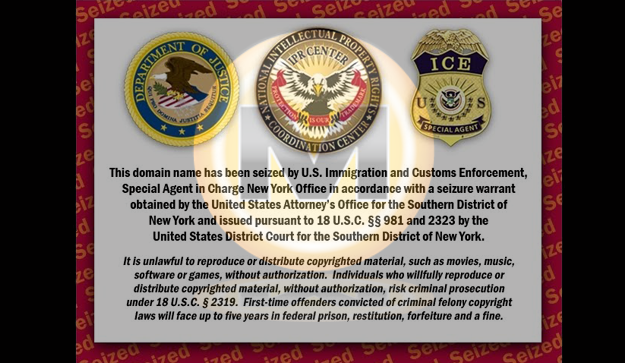 “To the extent there are users that do have copies stored on Megaupload.com, it is important to note that Mega clearly warned users not to keep a sole copy of material on the site. In other words: Don’t blame the US government for taking your files. User who utilized Megaupload’s cloud storage services — which, incidentally, only constituted a fraction of its visitors — should have had no reasonable belief that their files were safely stored on the website’s servers, even if the FBI hadn’t shutdown the site, seized its servers, and locked up its executives. Like a dwindling number of other websites, Megaupload was what is known as a “cyberlocker.” It allowed users to upload large files. A link to the file was automatically generated for easy sharing. Users could then download the file via the corresponding link. Files that were not regularly downloaded were automatically deleted after a certain period of non-use, though Premium members could store files for a longer period of time, among other perks. The difference between Megaupload and other cloud-based services, says the DoJ spokesperson, is that the site allegedly built its entire business model on distributing copyrighted content illegally. For those of you who are interested, you can read the full 72-page indictment here: pdf.